These days, there are a number of cat food manufacturers around with the large corporations having a wide variety of product lines to satisfy different demands in the market. For instance, you have Lams and Eukanuba from Procter & Gamble Company; Kibble & Bits and 9Lives from Del Monte; Purina and Friskies from Nestle, amongst others. If you are looking to buy the best and the healthiest items for your pet, it might be difficult for you to choose from the many cat food brands out there. First and foremost, you should understand that the brand, the company or even the marketing campaigns are not the only things to focus on when deciding on the type of food to give your cat. You want to find the most suitable cat food to make your cat healthy and happy, so your decision must be made after doing research, reading the food labels and getting advice from a veterinarian. In most cases, the good quality brands will list all the ingredients on the cat food packaging to help consumers make the best decision. Choose cat foods with lots of high-protein and meat ingredients. You should avoid foods with lots of wheat such as soybean and corn. Although wheat is healthy for human beings, this ingredient can cause cats to have digestion and gas problems. You might have to try several cat food brands and formulations to find the best one or the one that your cat enjoys the most. Just remember that some cat foods will be healthier and more nutritious than others, plus all cats will not like the same food items. Bear in mind that your cat might end up liking a cheap or an unhealthy brand. If you are not too keen on giving your cat the cheaper foods, even though the good quality foods are too expensive, then you could look at these options. Wellness, Pinnacle, Fancy Feast, Nutro Max, Innova and Royal Canin are regarded as some of the best foods and they are available for reasonable prices. When it comes to grain-free and natural foods, some of the best cat food brands include Go Natural, Acana, Before Grain, Orijen, Natural Balance, Eagle Pack, Timberwolf Organics, Solid Gold, Evolve and Halo, just to name a few. Note that these brands are usually a little pricey for persons on a budget. 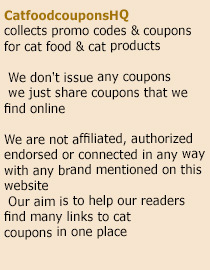 Other brands to consider include Friskies, 9Lives, Advance, Addiction, Sensible, Meow Mix and Iams. These brands are not rated highly for quality, but they are available at cheaper prices. At the end of day, you have to do your homework to find the healthy and most affordable cat food brands for your pets. This entry was posted in Cat Food Brands and tagged cat food brands. Bookmark the permalink.